Oh are you in for a treat! 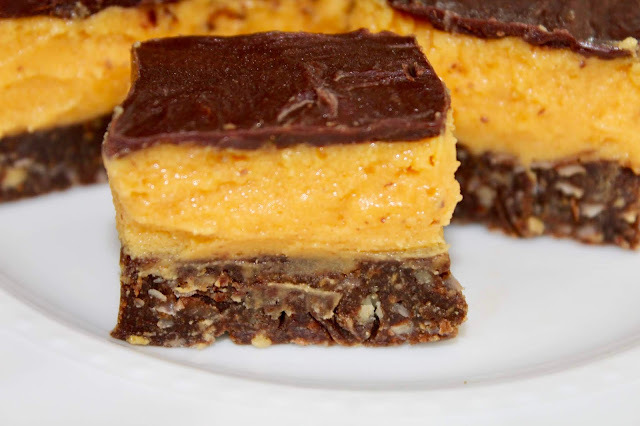 Several of My sweet Blended Blog sisters are from Canada so when we went on our blogger trip to Toronto last year, they introduced us sweets loving Americans to the utterly scrumptious Nanaimo Bar, a Canadian sweet treat staple. I was hooked! Oh that creamy filling! In true Andrea Fall Style, I thought mmmm, let’s add some pumpkin to this and wowzers, a new pumpkin concoction was born. Now, it’s just a little ole 3rd cup so if you don’t want your Nanaimo bars to be pumpkin, just omit. BUT if you’re a pumpkin lover like me and loved my past two years of Pumpkin Palooza, then I bet you’ll love these rich, decadent treats! In honor of yesterday been the Canadian Thanksgiving and several of them heading out on a trip South To Hilton Head & Savannah in a few days, I thought this week was the perfect one to celebrate the Nanaimo Bar! I sure will miss those babes this week! For the Base Layer: Melt butter in saucepan over medium heat. Remove from heat and add in brown sugar and cocoa powder, stir until combined. Quickly stir in beaten egg and Return to heat for 1-2 minutes stirring the entire time. Remove from heat, stir in vanilla, then add graham crackers, coconut and pecans. Mix well, press mixture into bottom of a buttered 9x9 or 11x7 baking dish. Cover and place in refrigerator for 30 minutes. To prepare the filling: In a large mixing bowl, beat butter, heavy cream and vanilla pudding mix (or custard powder) until fluffy. Add pumpkin and beat until just mixed. Add powered sugar and beat until smooth, about a minute. Spread mixture over base layer and refrigerate for another 30 minutes. For top layer: After removing pan from refrigerator, melt chocolate chips and butter in a double broiler or microwave until just melted. Quickly spread on top filling layer. Chill in refrigerator until chocolate has set, about 10 minutes. Cut into bars and store in airtight container. Chocolate and creamy pumpkin heaven!! I don't think I've ever had the nanaimo bars. What a great idea to add pumpkin! Oh my goodness these look GOOD! I've never had one of these bars but darn they look so delicious it may just be time to give them a try! Oh how I wish I could just bake the day away!!! These look about as sweet and wonderful as you! These look so yummy! I've never heard of nanimo bars but I'm going to have to make asap! I love the addition of pumpkin! You had me at pumpkin! Wow these look amazing, thanks for sharing your lovely recipe (and self)! Enjoy your day! 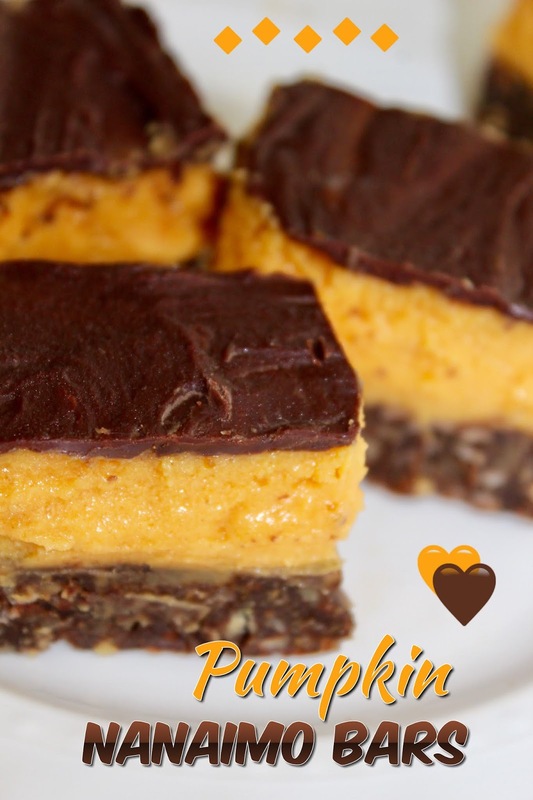 OH I love Nanaimo bars and this pumpkin one looks amazing! We have a bakery owned by Canadians and their homemade nanaimo bars are my favorite! That is all I am going to be thinking about for the next few days. Hahaha! Awesome adaptation- you can also do mint, baileys, irish cream...so many different ways to make them! I have never heard of nanaimo bars! But, if it's Canadian, that would be why. I should be more brave and daring like you and throw pumpkin into some recipes that don't call for it. These are perfect for a fall party or gathering! & especially Thanksgiving! 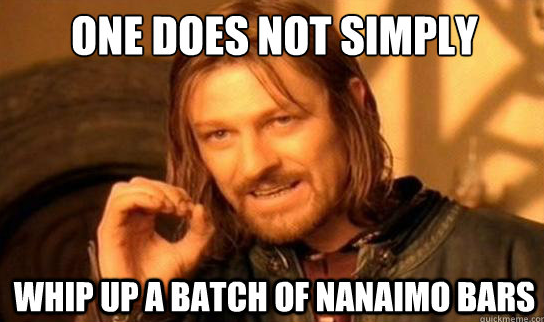 I'm just trying to figure out how to pronounce the word Nanaimo haha! Every single bit of these sounds so delicious. Wow- what a great treat. I’ll have to make these sometime. It’s been a while since I’ve baked in the kitchen! These sound scrumptious! I will have to make them ASAP! Holy yum, Andrea! I never liked pumpkin everything before getting pregnant this time around...now it's all I want! LOVE! I don't think that there could be a more delicious dessert, especially for the fall! 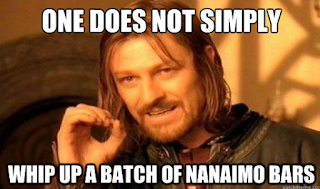 I had no idea what Nanaimo was until I read your post! 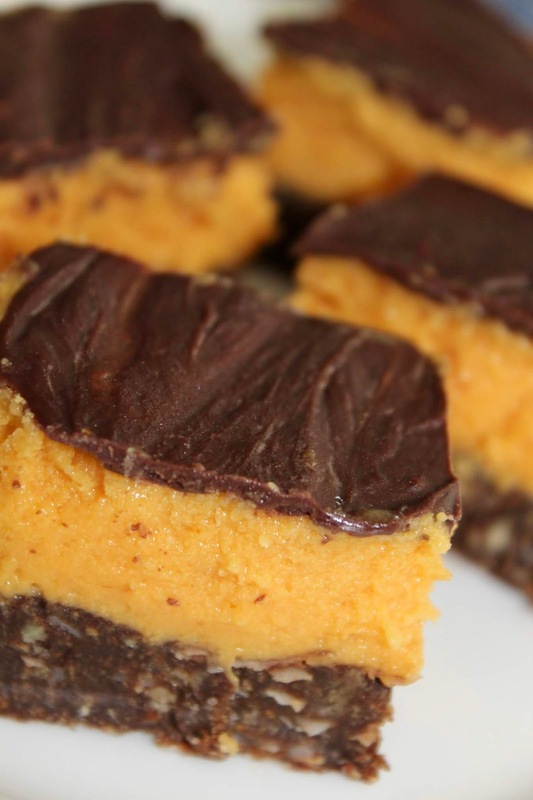 These pumpkin bars look so yummy! Thanks for the recipe I pinned and would love to make these sometime. Perfect & sweet for Fall! Just like you! Well, I love ALL things pumpkin so I'm sure I would love these, just as I have other of your awesome recipes. Hugs to you! Girl...do you not realize I need to shed the pounds I packed on from our Alaskan cruise?? How can I do that when you're tempting me with these?? Oh. my. goodness. These look divine! The dip in temperatures that comes with fall always makes me want to bake! I so need to make these! This sounds so yummy, going to have to add it to my list of fall treats to make! Okay, I've heard of Nanaimo bars but never actually tried them before! But I think you've outdone yourself with a pumpkin version!! These look soooo good! Yep i am definitely making these. This look sooo good!! YUMmmm!!! Yummm delish!!!! I love layered bars! 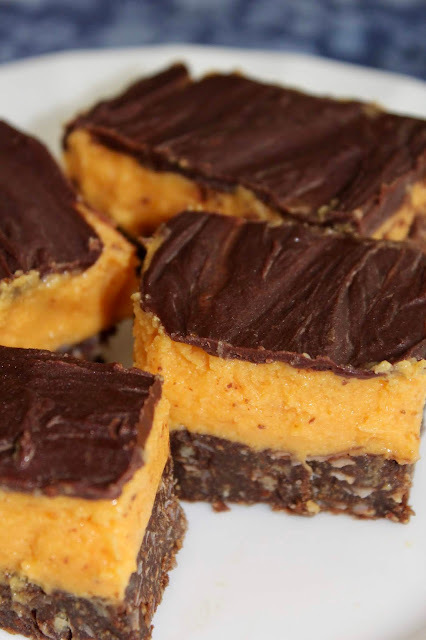 Your Pumpkin Nanaimo Bars look fantastic! Thanks so much for sharing with Full Plate Thursday and have a great week! I have never heard of these but I am pinning them to try!